Options: Honduras Maroon Paint, Fawn Beige Interior, Black Power Soft Top only, Wonderbar Radio, white sidewall tires, full hubcaps. Originally a RPO 686 Metalic Brake car, does not currently have Metalic Brake shoes. One of the nicest un-restored 1962 Corvettes I had ever seen, a car we personally tried to add to our private collection some fifteen plus years ago but were unsuccessful in the acquisition. It was purchased by a good friend who still owns it and he treated it to painstakingly accurate and detailed frame on restoration, it simply was almost perfect before he started. A never wrecked body, that had its original hubcaps in the trunk which looked as if they had never been installed. 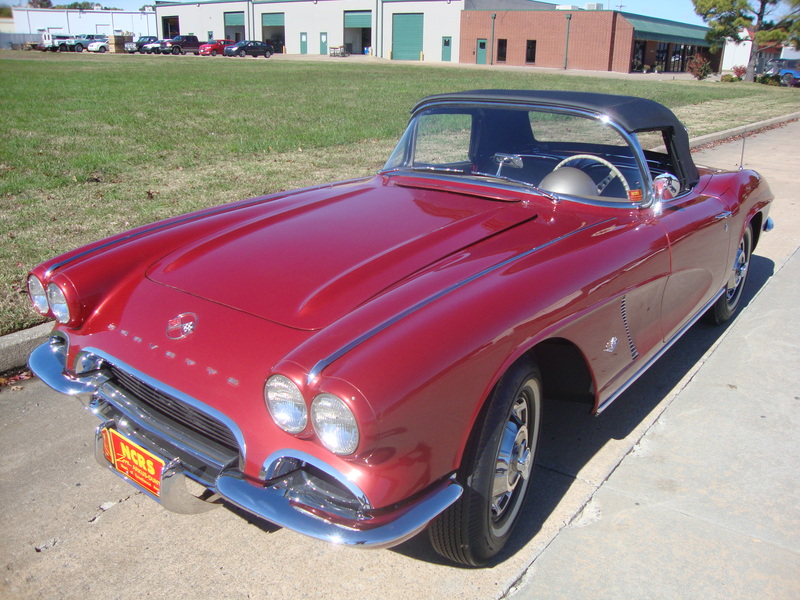 One of the most original authentically restored 1962 Corvettes you will ever see or have the opportunity to buy.